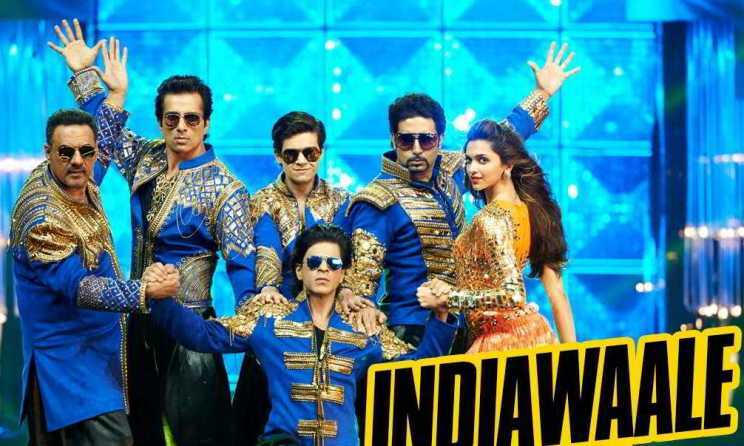 India Wale (Indiawaale) song is from movie Happy New Year. This song is sung by Vishal Dadlani, K.K., Shankar Mahadevan and Neeti Mohan, lyrics by Irshad Kamil and music composed by Vishal-Shekhar. The main starcast of the movie are Shahrukh Khan, Deepika Padukone, Abhishek Bachchan, Sonu Sood and Boman Irani.